As Palestras do Pe. Rufus - The Fr. Rufus' Preachings: Behold the Woman! Behold your Mother! When God presented Adam with the 'woman', flesh of his flesh, i.e. bonded to him in every way, and even when that same woman, instead of being, what God wanted her to be, a 'helpmate', beguiled him into disobeying God's word thus bringing him, and his descendants, under the dominion of the Tempter, God promised out of love for man that another woman would crush the head of the serpent in the continual warfare between her, with her offspring, and him, with his offspring (Gen 2:22-23,18; 3:6,15). That woman would be symbolically recognized by Jesus both at the marriage Feast of Cana, towards the beginning of the Gospel and of his ministry, as the 'mother' who would stand by man in his hour of shame and need, and at the Cross of Calvary, towards the ending of the Gospel and of his ministry, likewise as the 'mother' who would be with his disciples in their hour of fulfillment and glory (Jn 2:1-5; 19:25-27). It is of this woman, the Church, mother and teacher, the mystical body of Christ, that Mary, the mother of the head, is the symbol, example and inspiration, and in a mystical way, mother and teacher, as the Woman of the Word and the Mother of the Incarnate Word, as the Woman of the Cross and the Mother of the Crucified Redeemer, and as the Woman of the Spirit and the Mother of the Risen Christ, present in his praying Church, teaching us by word and example to be men and women of the Word, of the Cross and of the Spirit (Phil 3:10). In contrast to the first Eve, at the beginning of the old creation, whose defiant_reaction to God's Word, which she clearly understood, would set off man's ruin, the second or new Eve would respond to God's message, at the commencement of the new creation, thus: "Be it done to me according your word", even though she did not fully understand it, a response that would again in contrast initiate mankind's restoration (Gen 3:1-7; Lk 1:38). That is why Elizabeth, who first acclaimed Mary as the mother of her Lord, would then, as if to give the correct and full picture, exclaim, "The Lord has blessed you because you believed that he will keep his promise, his Word" (Lk 1:43,45). In the course of his ministry Jesus himself would twice pay indirectly the same tribute to his mother. When at the end of his discourse a woman pronounced his mother privileged to have a son like him, he implicitly considered himself rather more blessed for having a mother like her, and declared that the people who are really blessed are the ones who like her hear the Word of God and obey it (Lk 11:27,28). On another occasion when, after he had related the parable of the seed, a disciple informed him that his mother was looking out for him, he countered that all who professed to be his disciples were precious to him as his mother was, if they would like her hear the Word of God, put it into practice, and so produce abundant fruit in their lives (Lk 8:15, 17-21). At the close of the earthly ministry of Jesus, even though the apostles were panic-stricken by his impending departure with his mission unfinished, they promptly acted upon his instruction to wait in prayer for the Promise of the Father, the Power of the Spirit, at Pentecost, that would launch God's Kingdom and bring about man's re-establishment (Acts 1:5-8,12-14). The words of Mary first articulated, at the inauguration of Jesus' ministry in Cana, must have been ringing in their ears,"Whatever he tells you, do it" (Jn 2:5). How can then anyone claim to be a disciple of Jesus and a devotee of Mary if one is not committed to read God's Word daily, especially in the beautiful lectionary of the Mass, to cherish it, ponder over it and allow it to bear fruit daily in one's life? For, as St. Augustine said, before Mary conceived Jesus the Word in her womb, she had already conceived him in her mind and heart, the Word that would like the seed bear fruit and become flesh both in her womb and in her way of life. If God did not spare his own Son, but gave him up for us, Jesus in his turn did not spare his own Mother, but gave her to us not only as a mother, but as a victim, a patient and suffering mother, standing at the foot of the Cross with her heart pierced by a sword, and gazing at her Son nailed to the Cross with his heart pierced with a lance (Rom 8:32; Lk 2:35; Jn 19:34,37). It was right from the very announcement of the Incarnation that Jesus let his Mother go through, and he needed her as Woman to go through, every sort of suffering women go through, as if to make up by appropriation, in the words of Paul, for what was lacking in the sufferings of Christ as Man - the torment of being suspected by the man she loved and who loved her, the humiliation of being refused lodging in one's hour of need, the anguish caused by the threat on one's son's life, the plight of being a refugee in a strange or hostile country, the agony of not knowing the fate of one's only son, the constant rumours and scandals about him allegedly breaking the law and the embarrassment triggered by well meaning relatives pressuring her to put a stop to his weird statements and activities (Mt 1:19; 2:13-14; Lk 2:48-50). But even these were only shadows of the Cross on Calvary, with Jesus hanging on it casting its first shadow on Mary standing beside it (Jn 19:25). For it was above all the pain of seeing her son misunderstood and suspected, abandoned and betrayed, even by his own 'trusted' apostles, unjustly judged and sentenced, ridiculed and cursed, by religious and secular leaders, and handed over by the very people who benefited by his ministry to be crucified with two 'other' criminals (Jn 19:17-18). But greater than the suffering caused by man's callous indifference and heart rending denunciation (Jn 1:11), was the torture caused by God's baffling absence and apparent abandonment, "My God, my God, why have you deserted me?" (Mk 15:34). How can then one claim to be a disciple of Jesus or a devotee of Mary if one is not ready to deny oneself and take up and carry one's cross to Calvary, tostand beside that Cross with Mary and even be ready to be crucified. For if Pilate from his judgment seat of Caesar could say of the wounded Jesus to his enemies, 'Behold the Man', Jesus from the mercy seat of the Cross could say of his wounded mother to his disciples, 'Behold the Woman' (Jn 19:5, 25-27). Mary is finally not just the Woman of the Word, the commencement of her journey of faith initiated, and the Woman of the Cross, the journey itself of her faith tested, but the Woman of the Spirit, the conclusion of her journey of faith rewarded. Before the Church was born of the Spirit on Pentecost Day, Jesus was and had to be anointed with the Spirit in the Jordan, and before that Mary was and had to be overshadowed by the Spirit, by whom she conceived and bore Jesus, just as Jesus breathed forth the Spirit, giving birth to the Church at the Resurrection-Pentecost Event. For in answer to her query, the Angel declared, "The Holy Spirit will come upon you, and God's power will come over you, and so your child will be the Holy Son of God" (Lk 1:35). The effect of Mary's Personal Pentecost was manifest soon after, as she entered the house of Zacharias causing (no irreverence meant) a Holy Spirit epidemic. For the babe in Elizabeth's womb leaped for joy at the greeting of Mary, now filled with the Holy Spirit and pregnant with Jesus - and the baby John himself was filled with the Spirit while still in his mother's womb. Elizabeth herself and six months later her husband Zacharias, and still eight days later Simeon and Anna would prophesy by the power of the Spirit. What transpired at the beginning of the Good News of Jesus in the homes of Mary and of Elizabeth would come about in a far more extensive and manifest way 33 years later at the beginning of the Acts of the Apostolic Church in the Upper Room in Jerusalem. For after nine days of relentless waiting and continuous prayer, the Holy Spirit came upon the Apostles and disciples on Pentecost Day, as it had come upon Mary and upon Jesus, like a mighty wind and a consuming fire (Acts 2:1-4). But what is most significant is that Mary was there in the upper room to inspire the nascent Church, both by her testimony (Lk 1:46-55), and her example (Lk 8:21; 11:28). That is the only time she is mentioned in the Acts as if her presence was needed as much as for the birth of the Church as it was for the birth of Jesus - for the same Spirit to transform the born again Apostles and the same Power to empower the new born Church. How can then anyone claim to be a disciple of Jesus and a devotee of Mary if one is not always open to the inspiration of the Holy Spirit and under his constant guidance and control? Eis a Mulher! Eis aí a tua Mãe! Quando Deus apresentou Adam com a "mulher", carne de sua carne, ou seja, ligado a ele em todos os sentidos, e mesmo quando essa mesma mulher, em vez de ser, o que Deus queria que ela fosse, a 'companheira', enganou-o a desobedecer a palavra de Deus trazendo-o, e seus descendentes, assim, sob o domínio do tentador, Deus prometeu por amor ao homem que outra mulher esmagaria a cabeça da serpente na guerra contínua entre ela, com seus filhos, e ele, com sua descendência (Gn 2, 22-23,18; 3: 6,15). Essa mulher seria simbolicamente reconhecida por Jesus tanto nas bodas de Caná, para o início do Evangelho e do seu ministério, como a "mãe" que estaria por homem em sua hora de vergonha e necessidade, e na Cruz de Calvário, em direção ao final do Evangelho e do seu ministério, da mesma forma como a "mãe" que estaria com os seus discípulos na hora da realização e glória (Jo 2, 1-5; 19: 25-27). É desta mulher, a Igreja, mãe e mestra, o corpo místico de Cristo, que Maria, a mãe da cabeça, é o símbolo, exemplo e inspiração, e de uma forma mística, mãe e mestra, como a Mulher de da Palavra e da Mãe do Verbo Encarnado, como a Mulher da Cruz e da Mãe do Crucificado Redentor, e como a Mulher do Espírito Santo e da Mãe de Cristo ressuscitado, presente na sua Igreja, orando, ensinando-nos através da palavra e exemplo a ser homens e mulheres da Palavra, da Cruz e do Espírito (Fp 3:10). Em contraste com a primeira Eva, no início da velha criação, cujo defiant_reaction à Palavra de Deus, que ela claramente entendido, iria detonar ruína do homem, a segunda ou nova Eva iria responder à mensagem de Deus, no início da nova criação , assim: "Faça-se em mim segundo a tua palavra", mesmo que ela não entendeu plenamente, uma resposta que iria novamente em contraste iniciar a restauração da humanidade (Gn 3, 1-7; Lc 1,38). É por isso que Elizabeth, que pela primeira vez aclamado Maria como a mãe do seu Senhor, então, como se para dar a imagem correta e completa, exclamar: "O Senhor abençoou você porque você acredita que ele vai cumprir a sua promessa, a sua Palavra" (Lc 1, 43,45). No decorrer do seu ministério próprio Jesus duas vezes pagar indiretamente a mesma homenagem à sua mãe. Quando, no final de seu discurso uma mulher pronunciou sua mãe o privilégio de ter um filho como ele, implicitamente considerava-se um pouco mais abençoada por ter uma mãe como ela, e declarou que as pessoas que são realmente abençoados são aqueles que gostam dela ouvir a Palavra de Deus e obedecê-la (Lc 11: 27,28). Em outra ocasião, quando, depois de ter relacionado a parábola da semente, um discípulo lhe informou que sua mãe estava olhando para ele, ele respondeu que todos os que professam ser seus discípulos eram preciosos para ele quanto sua mãe era, se eles iriam como ela ouvir a Palavra de Deus, colocá-lo em prática, e assim produzir frutos abundantes em suas vidas (Lc 8:15, 17-21). No final do ministério terreno de Jesus, embora os apóstolos estavam em pânico por sua partida iminente com a sua missão inacabada, eles prontamente atendido suas instruções para esperar em oração pela promessa do Pai, o Poder do Espírito, no dia de Pentecostes, que iria lançar o Reino de Deus e trazer restabelecimento do homem (Atos 1: 5-8,12-14). As palavras de Maria primeiro articulado, na inauguração do ministério de Jesus em Caná, deve ter sido um zumbido nos seus ouvidos, "que Ele vos disser, fazê-lo" (Jo 2, 5). Como pode, então, alguém reivindicar ser um discípulo de Jesus e um devoto de Maria, se não tem o compromisso de ler a Palavra de Deus todos os dias, especialmente na bela Leccionário da Missa, a estimá-lo, refletir sobre ele e permitir que ele a dar frutos diária na vida de alguém? 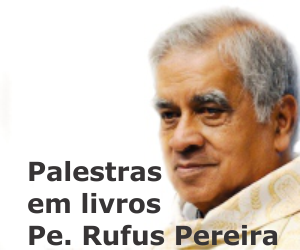 Pois, como disse Santo Agostinho, antes de Maria concebeu Jesus a Palavra em seu ventre, ela já havia concebido na mente e no coração, a Palavra que gostaria de dar frutos de sementes e tornar-se carne, tanto em seu ventre e em seu modo de vida. Se Deus não poupou seu próprio Filho, mas o entregou por nós, Jesus, por sua vez não poupou sua própria Mãe, mas deu-nos não só como mãe, mas como uma vítima, uma mãe doente e sofrimento, de pé ao pé da Cruz com o coração trespassado por uma espada, e olhando para o seu Filho pregado na cruz com o coração perfurado com uma lança (Rm 8:32; Lc 02:35, Jo 19: 34,37). Ele estava certo desde o anúncio da Encarnação que Jesus deixou sua mãe passar, e ele precisava dela como mulher que passar, todo o tipo de sofrimento as mulheres passam, como que para compensar por dotação, nas palavras de Paul, para o que estava faltando nos sofrimentos de Cristo como homem - o tormento de ser suspeito pelo homem que amava e que a amava, a humilhação de ser recusado hospedagem em uma hora de necessidade, a angústia causada pela ameaça contra a vida de um filho, a situação de ser um refugiado num país estranho ou hostil, a agonia de não saber o destino do filho único de um, os constantes rumores e escândalos sobre ele supostamente violar a lei eo embaraço desencadeada por bem intencionados parentes pressioná-la para pôr fim com suas declarações estranhas e atividades (Mt 1:19; 2: 13-14; Lc 2, 48-50). Mas mesmo estes eram apenas sombras da cruz, no Calvário, com Jesus pendurado nela lançando sua primeira sombra sobre Maria está ao lado dele (Jo 19:25). Pois foi, sobretudo, a dor de ver seu filho mal interpretado e suspeito, abandonado e traído, mesmo por sua própria 'confiável' apóstolos, injustamente julgado e condenado, ridicularizado e maldito, por líderes religiosos e seculares, e entregues pelas próprias pessoas beneficiados pelo seu ministério para ser crucificado com dois criminosos "outros" (Jo 19, 17-18). Mas maior do que o sofrimento causado pelo insensível indiferença e coração rasgando denúncia do homem (Jo 1:11), foi a tortura causada pela ausência de Deus desconcertante e aparente abandono: "Meu Deus, meu Deus, por que você me abandonou?" (Mc 15:34). Como pode, então, uma pretensão de ser um discípulo de Jesus ou um devoto de Maria, se não está pronto para negar a si mesmo e assumir e levar a sua cruz ao Calvário, tostand ao lado daquela cruz com Maria e até mesmo estar pronto para ser crucificado. Porque, se Pilatos de seu tribunal de César poderia dizer do Jesus ferido aos seus inimigos, "Eis o homem", Jesus do propiciatório da Cruz poderia dizer de sua mãe ferida aos seus discípulos: "Eis aqui a Mulher" (Jo 19: 5, 25-27). Maria não é, finalmente, apenas a mulher da Palavra, o início de sua jornada de fé iniciada, ea mulher de Cruz, a viagem em si de sua fé testada, mas a mulher do Espírito, a conclusão de sua jornada de fé recompensada . Antes a Igreja nasceu do Espírito no dia de Pentecostes, Jesus foi e teve que ser ungido com o Espírito no Jordão, e antes que Maria era e teve de ser ofuscado pelo Espírito, por quem ela concebeu e deu à luz Jesus, assim como Jesus soprou diante do Espírito, dando o nascimento da Igreja no Pentecostes Ressurreição-Event. Pois em resposta a sua consulta, o anjo declarou: "O Espírito Santo virá sobre ti, eo poder de Deus virá sobre vós, e para que o seu filho vai ser o Santo Filho de Deus" (Lc 1:35). O efeito de Maria pessoais Pentecostes se manifestou logo depois, quando ela entrou na casa de Zacarias causando (sem irreverência significava) uma epidemia Espírito Santo. Para o bebê no ventre de Isabel pulou de alegria em a saudação de Maria, agora cheios do Espírito Santo e grávida de Jesus - e para o bebê o próprio João era cheio do Espírito enquanto ainda estava no ventre de sua mãe. Elizabeth ela mesma e, seis meses depois de seu marido Zacarias, e ainda oito dias depois Simeão e Ana iria profetizar pelo poder do Espírito. O que aconteceu no início da Boa Nova de Jesus nas casas de Maria e de Elizabeth viria de uma forma muito mais ampla e manifesto 33 anos depois, no início dos Atos da Igreja Apostólica no Cenáculo em Jerusalém. Para depois de nove dias de espera implacável e contínua oração, o Espírito Santo desceu sobre os Apóstolos e discípulos no dia de Pentecostes, como tinha vindo sobre Maria e sobre Jesus, como um vento forte e um fogo consumidor (Atos 2: 1-4) . Mas o que é mais significativo é que Maria estava lá no cenáculo para inspirar a Igreja nascente, tanto por seu testemunho (Lc 1, 46-55), e seu exemplo (Lc 8:21; 11:28). Essa é a única vez que ela é mencionado nos Atos como se sua presença era necessária, tanto quanto para o nascimento da Igreja, como o foi para o nascimento de Jesus - para o mesmo Espírito para transformar o nascer de novo Apóstolos e o mesmo poder de capacitar a Igreja nascente. Como pode, então, alguém reivindicar ser um discípulo de Jesus e um devoto de Maria, se não está sempre aberta para a inspiração do Espírito Santo e sob a sua orientação constante e controle?